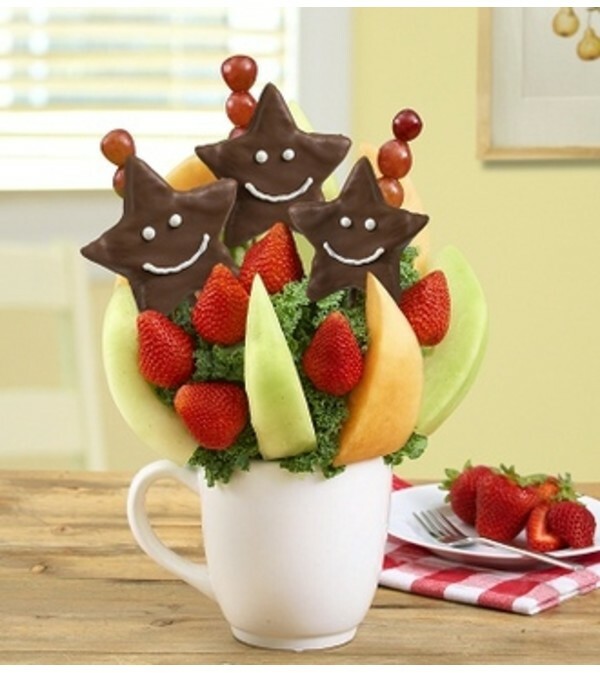 This Fruit Bouquet fills birthdays, anniversaries, or just because days with smiles. Plus, the reusable white mug will make them think of you every time they take a coffee break. Sweet! Juicy strawberries, star-shaped pineapple slices dipped and decorated with a smiley face, star-shaped pineapple slices, honeydew melon and cantaloupe wedges, grape skewers and more.